The Benefice of Atherton & Hindsford with Howe Bridge – St. John the Baptist Atherton, St. Philip Atherton, St. George Atherton and St. Michael & All Angels Howe Bridge - is busy and serves communities which still instinctively look to the church for spiritual and pastoral care. Though there is much traditional ministry here, with lots of occasional offices and special services, the congregations are looking to deepen their own discipleship as well as building on the current high level of involvement in the communities. The parishes have a modern catholic tradition. As schools work is a vital and vibrant element of the benefice’s ministry and outreach we are want to appoint someone with experience of children’s and young persons’ ministry. 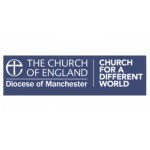 We will be appointing a Team Vicar who will be principal Minister for one or more of the congregations across the benefice; we seek a prayerful, pastoral, sensitive and sociable priest who can bring energy and imagination to the role and who can establish a good working relationship with the Team Rector. Holds views in keeping with the principles underlying our vision and church tradition. Has a passion for reaching out to people to share faith in Jesus Christ growing his church in the process. Has strong desire for team and collaborative working. Energy and resilience to thrive in this busy Benefice. Eager to encourage lay members to grow and take on leadership roles within the church. Ability to work with, and relate to, children and young people. Is organised, efficient and diligent in their patterns of work. Is caring, compassionate, sensitive, sociable and can relate to all ages. And of course, have a strong and prayerful personal faith. Children and young persons’ ministry. Listening to, and working with, colleagues, congregations and church councils. Identifying and nurturing new believers and our congregations’ gifts and talents. Ministry of those with a ‘lifetime’ of experience. Developing new ways of being church. And ideally, everything else(!) including leadership, community engagement, church building management and finance. The United Benefice of Atherton and Hindsford with Howe Bridge is a great place to be. Maybe God is calling you to share in the ministry of this place; only through prayer and exploration will you know. motorway network. In addition, the towns of Bolton, Wigan and Leigh are close by. The community of Atherton, Hindsford and Howe Bridge was originally built upon the manufacture of nails, nuts and bolts, followed by the highly successful industries of mining and cotton. Although these are now long gone, two mills remain having been taken over for retail and social/leisure activities. Historically it is a family orientated Lancashire town with a mix of professionals, skilled tradespeople, semi and unskilled. Since there is little in the way of industry or large employers, many people commute to Manchester or local towns.